Learning about herbs can be a lot of fun - and it can also be really intimidating to figure out how to connect with plants on a medicinal and magickal level. So I created the Plant Ally Project to provide a free resource to new and experienced students who are looking for some inspiration in their herbal studies and practices without feeling intimidated. Through the Plant Ally Project and the many other sources of wonderment in your life, I hope that you are able to connect with the magick and healing gifts of our plant kindred throughout your journey whether as an herbal practitioner, a family apothecarian, a street medic dispensing herbal first aid or however else you work with your plant allies. Are ready to learn how to build meaningful and powerful relationships with a plant ally. Want to transition from a casual interest in herbal medicine to a more invested one. Are seeking to reinvigorate and find new inspiration in their herbal practice. 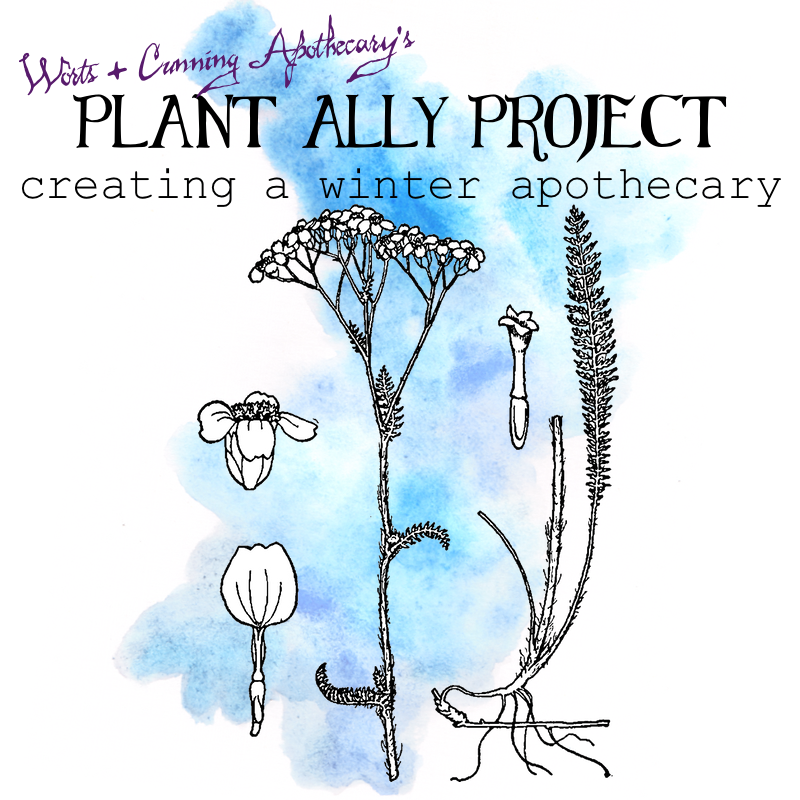 If you are looking to take on a simple winter project to build a wellness apothecary for you and your loved ones Creating A Winter Wellness Apothecary is the project for you! Indispensable Herbs helps you create a short list of well-loved herbs that you know how to use for a myriad of tasks. Inspiration for the idea has come from Matthew Wood's personal Indispensable Herbs list. My Indispensable Herbs project will help you discover the 13 indispensable herbs of your practice based on magickal and medicinal energetics of Traditional Western Herbalism. My first free ecourse will help you create your own Plantbook (aka Materia Medica) for your herbal practice! Looking for more free and fully enchanted herbal and magickal inspiration? Sign-up for Magick Mail and get access to my super secret member's only page where I post additional resources such as a worksheet for building your own Plant Ally Project: Winter Wellness Apothecary and much more! We respect your privacy and will never share your information with anyone ally or not. Thank you for signing up for Magick Mail! Once you have confirmed your subscription to you will gain access to our super secret member's only area!